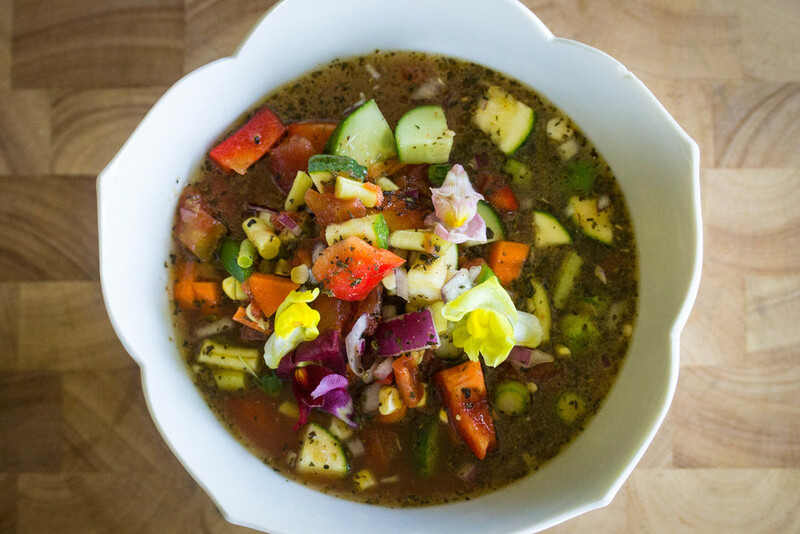 Gazpacho is a perfect summer soup and a great way to incorporate bone broth into your diet in the warmer months. 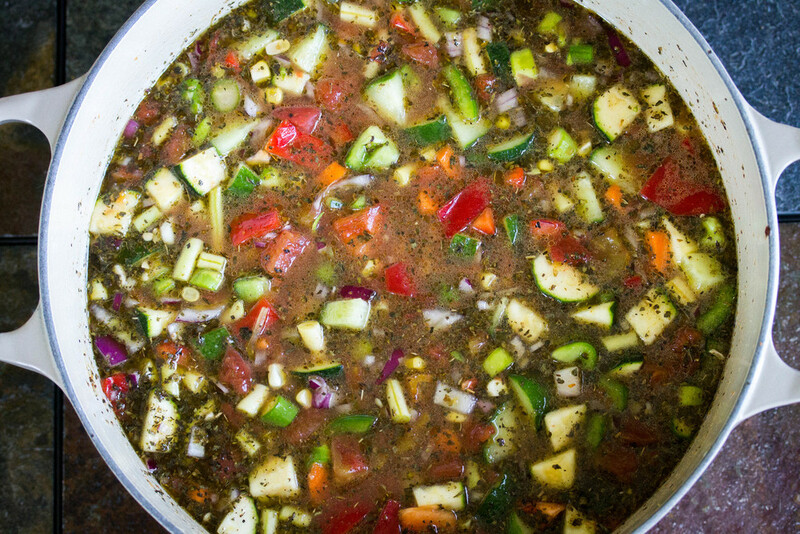 This cold, tomato and vegetable soup is almost like a salsa but very refreshing. I recommend sourcing fresh vegetables from your local farmers market for this recipe as the fresher the produce, the better tasting soup. Have plenty of leftovers? Try blending the soup in a Vitamix or with an immersion blender into a fresh salsa and add hatch green chilies and hot sauce for more flavor! 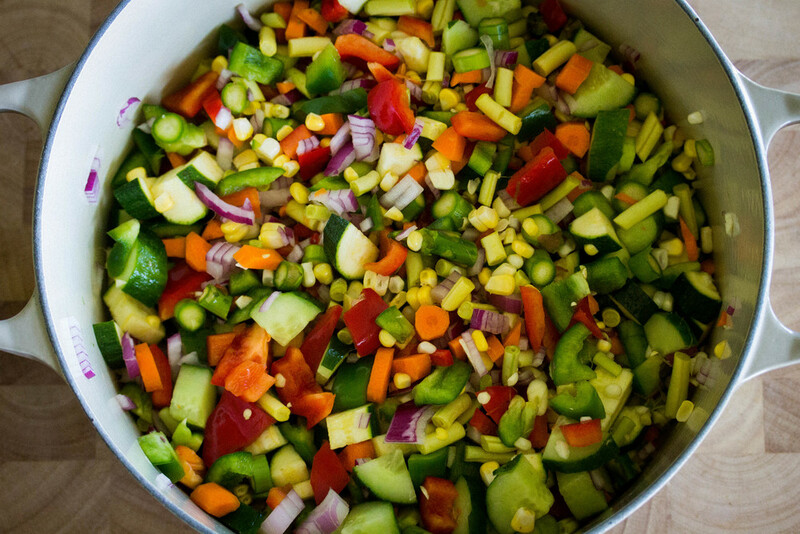 Finely chop all vegetables and place into large pot. Add herbs and spices, vinegar, tomatoes, oil, and broth and mix well. Cover and refrigerate for at least a few hours before serving or overnight for best results. Serve chilled with a scoop of sauerkraut and season with salt.